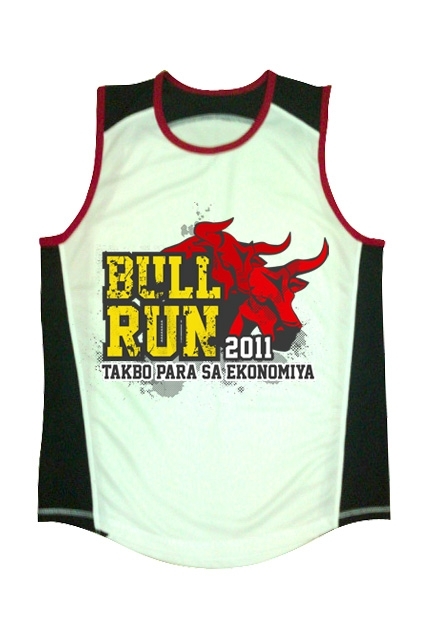 The PSE Bull Run: Takbo Para Sa Ekonomiya is an annual running event organized by the Philippine Stock Exchange, Inc. (PSE), as part of its advocacy campaign to inform the people about the Philippine stock market. 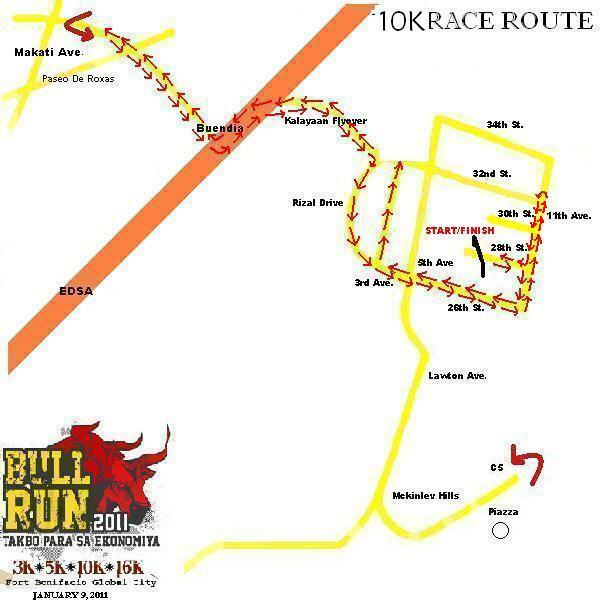 Megaworld Corporation is this year’s Bull Run title sponsor. The PSE-Megaworld Bull Run has been envisioned to serve as one of PSE’s key marketing projects. This event aims not only to raise stock market awareness but also to promote camaraderie among PSE employees, listed companies and the trading participants. Now in its 7th year, the 2011 edition of the PSE Bull Run: Takbo Para Sa Ekonomiya will take place on Sunday, 09 January 2011, 5:00 a.m., at the Bonifacio Global City in Taguig. The Bull Run 2011 is organized by AdEvents Manila. 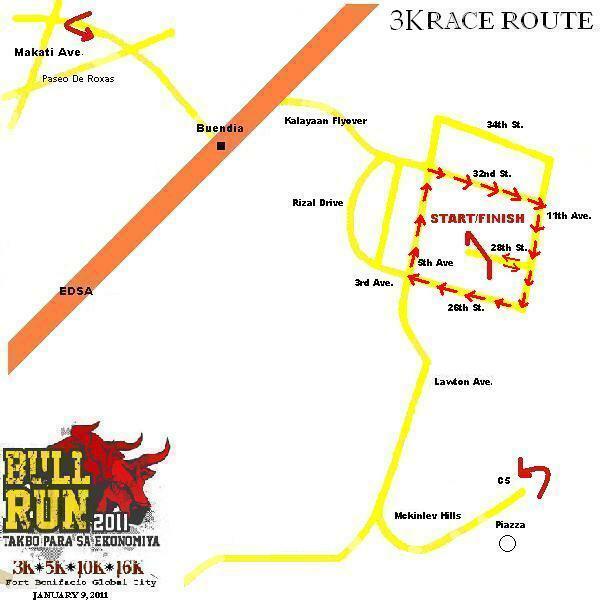 Participants can join any of the four PATAFA-sanctioned competitive categories: the 3K, 5K, 10K and 16K races. Male and female winners in each category will receive cash prizes and trophies, with all participants getting a chance to win prizes in a raffle draw at the end of the races. 1 Fill out registration form clearly. Indicate complete delivery address to avoid losses. If living in a condominium, instruct lobby guards to accept package upon delivery. 2 Pay thru BPI S/A 4089 0189 49, with account name MAR SPORTS & EVENTS CONSULTANCY. Delivery charge is (P70.00). One pack can accommodate up to FIVE registrants. For one to five registrants, pay P70.00 only. Provincial deliveries will be confirmed upon receipt of order. 3 Fax registration form and deposit slip through 364-6201 or 363-0357. 4 Call or send an SMS through (0918) 4674206 for confirmation. Packs will be delivered at your door. 5 Orders with unsigned waivers and no contact number will not be processed. 6 Write your e-mail address clearly. 1 A non-refundable entry fee of Four Hundred Fifty Pesos (P450.00) must accompany each duly signed form for the 3K/5K/10K/16K division. Registration starts on December 1, 2010. Jersey will be given upon registration. 2 Deadline for registration will be strictly followed on 03 January 2011, 5:00 PM, or UNTIL SUPPLIES LAST. 3 Any misrepresentation is valid ground for disqualification. The organizer reserves the right to verify all submitted information and to reject or disqualify any entry at its discretion. Protests should be accompanied by evidence and filed in writing within thirty (30) minutes after the race. 4 Special prizes will be given to the biggest delegation with a minimum of 25 runners per group. There will be three divisions: a. running club division, b. stockbroker division and, c. listed company division. Special prizes will also be given to the 16K team category winners with 25 runners per group. The group with the best aggregate time will be declared the winner in the running club division, stockbroker division and, listed company division. Thank you Absolute Traders for the invite!